Blizzard Teases New Overwatch Hero | Nerd Much? It all started with an unmanned aircraft approaching the prison facility and making it through the defence systems without a hitch. My bet is on Sombra, who has been seen in the Overwatch comics to be working with Reaper, if not necessarily sharing his willingness to follow orders. 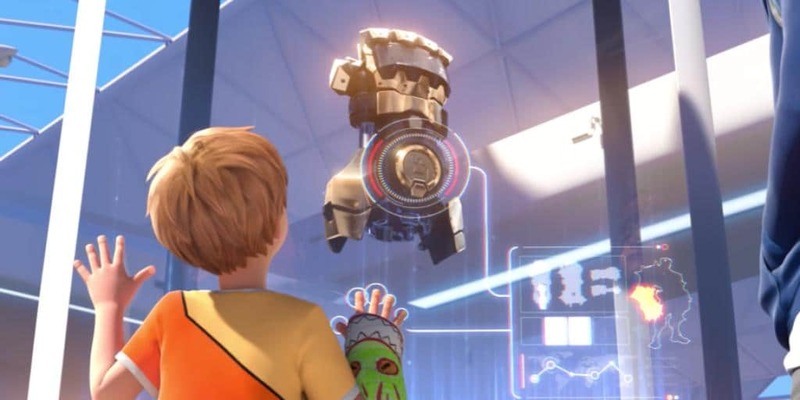 Helix, the organization responsible for the security of the prison Doomfist was kept in, is apparently unwilling to reveal further details between Doomfist’s escape and his attack at the Adawe International Terminal. 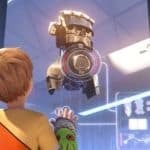 Helix has not mentioned if anything other than Doomfist is missing from the prison. To be clear, there was about three months between Doomfist’s prison escape and the attack on the airport. In addition, because the Numbani airport security had been using the Doomfist gauntlet, our apparent hero/villain easily regained the weapon he’s so famous for. As this kind of fictional report from Overwatch‘s world was the same way we were introduced to Orisa, I imagine it’s a matter of days before we see a full trailer for Doomfist. Perhaps next week we’ll see exactly what his abilities are and if that gauntlet is really as over-powered as it might seem. That said, Blizzard is fairly concerned with balance in Overwatch, so it’s unlikely the Doomfist will be that much of a game changer unless they unveil some other in-game limitation. Or perhaps even a new game mode, centered around the weapon and others like it.